Stephanie Blackmon, assistant professor of higher education at the College of William & Mary, discusses whether these online courses can have a positive effect on higher education. 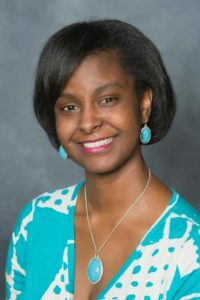 Stephanie J. Blackmon, Ph.D. is an Assistant Professor of Higher Education in the School of Education at William & Mary. Her research area is teaching and learning, with a current emphasis on technology integration in various higher education, professional development, and adult learning contexts. She has conducted studies on instructors’ and students’ experiences with three dimensional virtual worlds, massive open online courses (MOOCs), and various learning management systems (traditional and non-traditional). She is also the co-editor of the New Directions special issue MOOCs and Higher Education: Implications for Institutional Research, http://onlinelibrary.wiley.com/doi/10.1002/ir.2016.2015.issue-167/issuetoc. Twitter: @StephJBlackmon. Massive open online courses, or MOOCs, are the educational equivalent of fidget spinners. Some see them as just a shining, spinning fad that will soon be replaced by another sparkly object, while others see them as innovative, useful tools. I wanted to know more about the potential of MOOCs, and when I conducted a study on the future of MOOCs in higher education, I found that some professors saw MOOCs as a catalyst for providing other forms of educational opportunities. Because of this work, combined with my own experiences teaching and taking MOOCs, I began to wonder: Can MOOCs build connections between higher education institutions and surrounding communities? Earlier research shows that MOOCs have been useful for publicizing programs and courses for institutions, and several people have benefited from experiences in connectivist MOOCs, also known as cMOOCs, with their emphasis on networked learning. MOOCs have grown in higher education and public discourse, and there are several examples of MOOCs helping to establish professional networks. These elements could be harnessed to create sustainable connections between higher education institutions and their local communities. Let’s consider public colleges and universities. Although these institutions are focused on expanding their reach beyond their local areas, there are often conversations about how these schools can connect to their immediate communities and regions. MOOCs that are intentionally designed for outreach could allow colleges and universities to connect with teachers and administrators at K-12 institutions, local college prep programs, youth organizations, adult learning institutes, and the like. An outreach-oriented MOOC, with safe learning space and an emphasis on collaboration, could potentially go beyond democratizing education in terms of accessibility to top-down interactions and move toward truly co-constructed, mutually meaningful connections.